This is a mere pair of hands, more like an old lady between the age of seventy or eighty, hardly beautiful, hardly worth a mention. Other than lots of bulging veins, wrinkled skin, and some blue marks, signs of old injuries; well still a fine pair of ordinary hands. I used to make regular visits to the Baptist Golden Age Home, and stepping inside each time is like changing radio channel. The heavy rocking of the outside world disappears suddenly and a sense of calmness gently takes over. How do I express this sudden contrast? Out there everyone was kind of in a rush, doing something, and constantly moving. Inside the home, time jammed its brakes and almost stalled. I am surrounded by people who do nothing, sitting still staring at something, or simply playing with their own fingers. For a while my mission for the day was directed to care, my behavior gentle, and my voice soft. The usual me talking loudly, sometimes aggressively had to be forced change. I suspect there is a switch of duty between the heart and the brain, taking control of the functioning faculty. But each time before leaving, to return to the mad mad competitive world, I would turned back and look at all those who had walked a little longer of life's journey than I do, and likely to see more of life than I ever had. 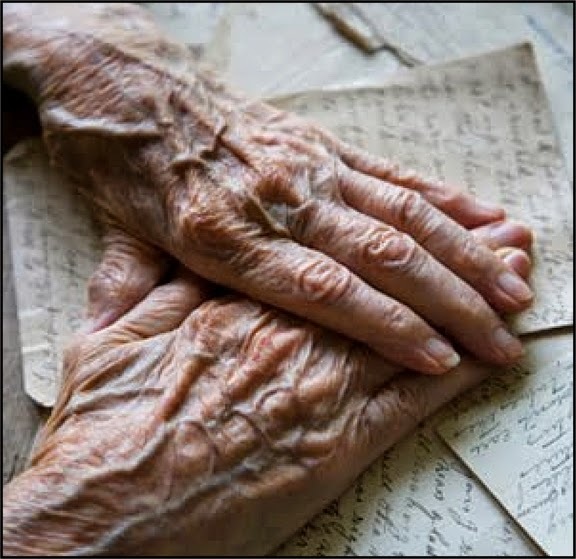 Each time I felt a mission unaccomplished, a sense of having to leave empty handed, for not having explored the richness behind those wrinkled hands stories. I am not sure such what effects such prolonged regular mood changes had on me, but here I am still sanely writing a story about a pair of wrinkled hands. This is my mother, a lady of strong will. Born into a family of business owners who also dabbled in politics, and her youth was a tumultuous period of fighting between the communists, nationalists and Japanese invaders. She often spoke about a rice mill, and an oil mill where kids during her time would play around, and fondly of a family dog named Ah Yick (阿益). Those were fond memories of her childhood that she was proud to share. She too mentioned about hard times when she was left in China, and her parents (my grands) fled to Singapore. Don't blame the old folks. There was someone who loved her, too old to flee, and she being the eldest in the family needs to stay behind. I guessed that's the making of a survivor. To fend for a living, which is the first story of that pair of wrinkled hands, she cuts timber and pile them up to be sold in the market place some distance away. It's like leaving home just before dawn and returning in the evening, all on foot. There were occasions she would come across fugitives, or lepers, and she would use the timber pole and expletives on them to challenge them away. That same pair of hands would one day be holding a branch to hit her uncle, an elder brother of her father. It was not a family feud, nor her naughtiness, but to save her own life. When the communist prevailed over nationalist, my fourth grand uncle who was a nationalist member and went around with guns and bodyguards was caught. To free themselves of trouble, family members had to verbally renounce him, hit him with a branch and spit on him. They were careful not to shed tears or that would put their renouncing into question. During the war, by which time she's married with kids (not me yet), with the same timber pole that she used to peddle dried wood over her shoulder and a cane basket on each end that is big enough to put my sisters inside; she would run from shelter to shelter, and once up a ship headed for Singapore. It was just frantic packing, hiding, running, back and forth. 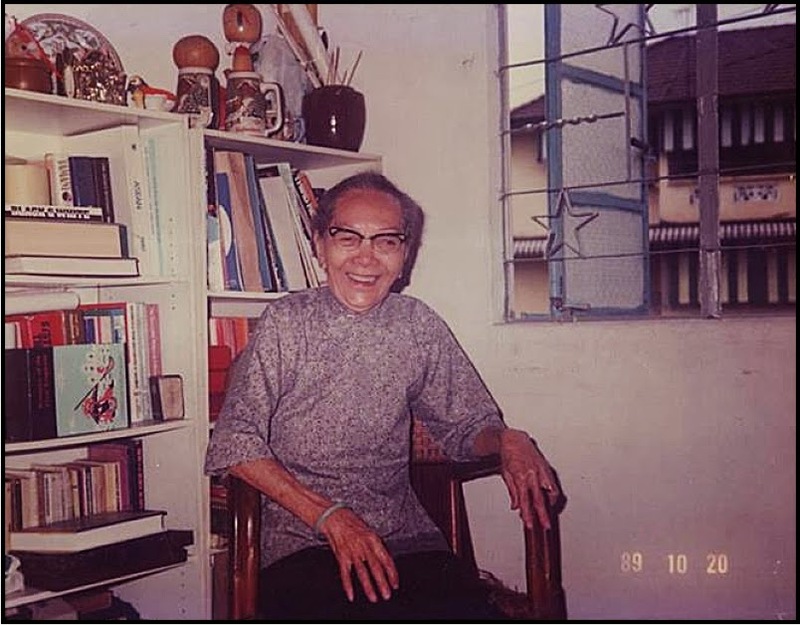 When in Singapore, the family was temporarily housed in a small rented room on the third level of a shophouse in Tras Street, while my father worked in the soya sauce shop and factory set up by my mother's father. The factory was later burnt down during the Bukit Ho Swee fire, and a new one was subsequently built at Tanglin Halt. My father decided to buy a house then and almost all his salary had gone to servicing the mortgage as well as supporting my eldest brother and family who were still left in China. Household expenses was once again left into the hands of my mother. She would make a few bucks by sewing 大盛蓝, a type of tough fabric much like denim, made in China and worn by traders during those time. Soya sauce peddlers would buy the material and ask her to sew them into a jacket and pants. She also sew jackets inlaid with 猪肚绵 a type of superior quality cotton that is supposed to be cool in summer and warm in winter. She did it for people who would send them back to kins in left in China through 水客 couriers who traverse between Singapore and China. When my sister found a job as a seamstress somewhere in the neighbourhood, they also needed someone to sew sequins on the dresses. These dresses were worn by singers in cabarets and revues. Because there was 新生歌台 New Life Revue inside New World at Kitchener Road, the neighbourhood became a popular spot for singers to live in, and that was probably how the street name Starlight Road came about. Her pair of hands was so skillful that she was much sought after and had done dresses for 冯宝宝 Fung Boo Boo and sisters, 吴碗雯，张来来，潘绣琼, 樱花 Sakura Teng and others. No one can escape the closing of window of time and opportunity; but if one who is determined enough, she will find another opportunity in a brand new era. Her skill for sewing sequins on dresses had helped to bring up her children, and educate them. But the winds of change has wiped out the need for hand sewn sequins. She found a way out by making sequin embroideries into strips and sell them to shops in Arab Street, and at times make butterfly buttons for nearby tailor shops. She had also become a letter writer for relatives living nearby. Once she fried a big Horlicks bottle of pickled vegetable 大头菜 mixed with pork for a relative who was admitted to Little Sisters of The Poor. Any relatives who were admitted to TTSH, she would cook something and bring it to them. With her pair of hands, she made rice wine, rice cakes (sweet cake roll made of fried rice flour and peanut). Whenever the roof leaks, she would climb into the attic and get it repaired. So does my father. I remember holding my mother's hand and they were exceptionally warming. It was softly dry and yet feeling secure with lots of love and care. It was this pair of hands that shielded me from much hardship, and gave me a memorable childhood and the making of a confident person. 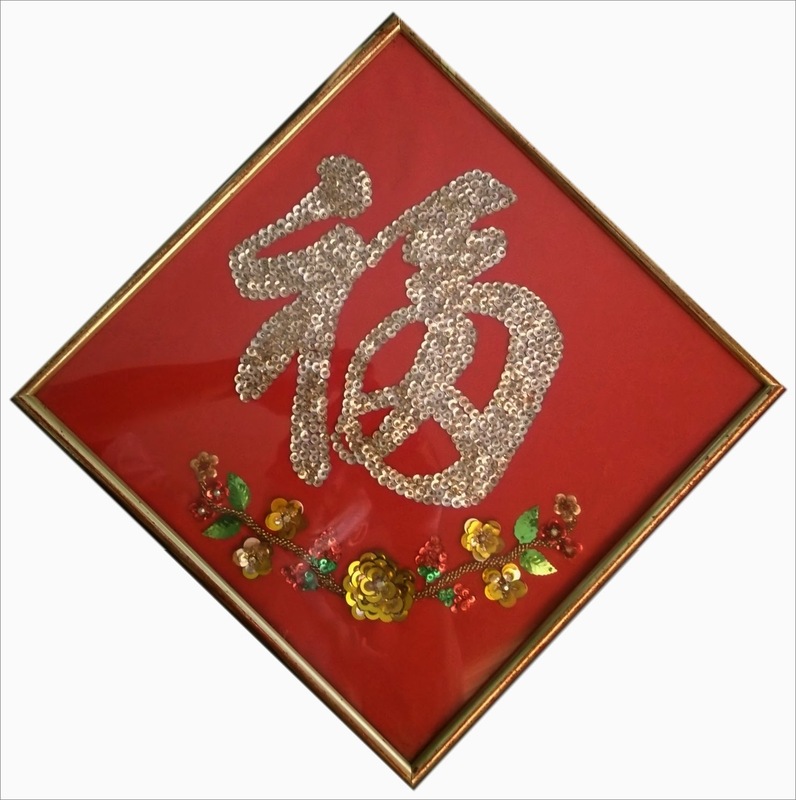 During her closing years, she made this piece of framed sequin character of 福, "Blessings" as shown below for each of her children, to bless each of them, and to remind them of the life she had lived. My life is much an extension of hers, and her skills I had learnt a few. The bulging veins and the blue marks on her hands were testimonial of pure human resilience of a woman's struggle against adverse circumstances of her time. It is this pair of wrinkled hands that made me. WHAT CELEBRATIONS MATTERS THIS NATIONAL DAY? ARE YOU PREPARED TO BE POOR? Copyright © 2014-2015 Anthony Kan, Singapore. All Rights Reserved. Simple theme. Theme images by PLAINVIEW. Powered by Blogger.